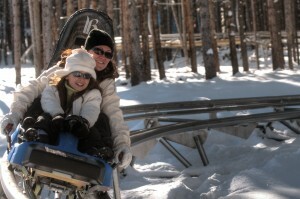 Here you are in Breckenridge with the family and you can’t wait to plant the same seed of nostalgia that you’ve grown yourself since you were a kid taking family ski vacations. Of course, there’s more to it than simply strapping on a pair of skis and getting on the lift. The building blocks of spectacular memories are also sealed by where you stay, where you eat and all the laughs along the way. Here’s your recipe for Four Perfect Days. As far as lodging, your No. 1 priority is to be as close to the slopes as possible without breaking the bank. The Village at Breckenridge is the obvious choice, front and center at the base of Peak 9 and condos complete with full kitchens for home-style breakfasts and late night snacks. Ski school is also right next door. After getting everyone’s gear rented at Breck Sports, drop the kids off, grab a trail map and head up the Quicksilver Chair beyond the learning area for long and fast Peak 9 cruisers to get your legs warmed up. With its sprawling views of Bald Mountain and heated deck, TenMile Station is your on-mountain lunch spot. Maybe spend the afternoon testing your warmed up turning prowess on the steeps of Peak 10. There’s plenty of time to explore town later, so sweep up the tykes from ski school and enthuse over the day’s adventures over a snack at Park Avenue Pub right near the Village and call it an early night. 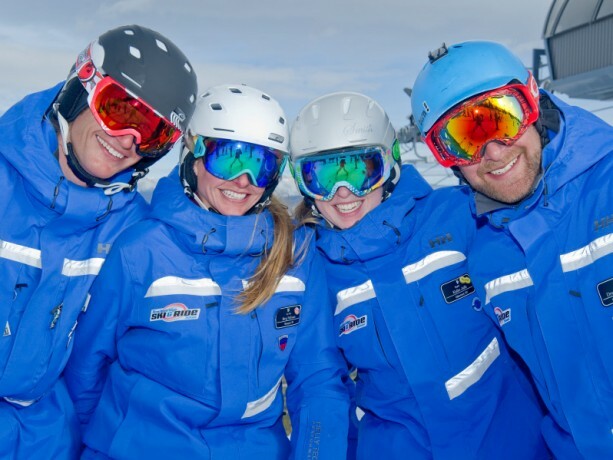 The kids are just about there to hang with you on the hill, so you put them in ski school for just a half-day. Gather them up around noon and get teary-eyed with pride as you see all they’ve learned skiing down to the base of Peak 8 where you can devise a master ski plan for the afternoon over burgers at Ski Hill Grill. Your kids are dying to show off their skills, so you head to the magical rolling terrain on Peak 7 for the rest of the day. You can already see the apple of a lifetime of ski dreams forming in their eyes at this point and everyone is pumped. Freshen up and stroll down Main Street for a delicious and affordable pub dinner from the huge menu at Downstairs at Eric’s, sheer heaven for the whole family with a massive beer selection and an entire room of video games and pinball. Now there is no question that each family member is hooked on downhill so it doesn’t take much to catapult the crew out of bed to the breakfast table, into their boots and out the door for first chair. Oh, how the Peak 9 corduroy sings at this time of the morning! After taking turns as the tour guide through every finely groomed run on the south side of the resort, take a breather for lunch at The Vista Haus. At the top of Peak 8, the mighty Horseshoe Bowl looms over one side of the building and the view opens to a panorama of peaks as far as the eye can see on the others. Spend the afternoon exploring the brand new, sprawling terrain on Peak 6. Take your debate about which single moment of the day was the absolute, hands down, most awesome into town and over a pizza dinner at Fatty’s. It’s the same drill as yesterday and now that you all have the taste of fresh corduroy in your blood there is no prompting necessary to fly out the door in record time. You are a finely tuned turning unit, carving figure 8s down the delicious groomers, but you’d better wrap up your mountain time with a little challenge. Especially on a powder day, the terrain off of Chair 6 is open and glorious and by the end of the day, you’ve got to, got to take a trip to the top of Imperial Bowl on the highest lift in North America which also has a groomed blue run down the front of it for the wary skiers in the group. You may think this is the grand finale but you (and especially your kids) couldn’t help but notice that there is a giant roller coaster situated at the base of Peak 8. It’s pretty much a family necessity to take at least one rip down the Gold Runner before you go. Digest all of your unforgettable memories along with nachos, beer and hot chocolate along with the rest of the happy crowd at Peak 8’s T-Bar restaurant.